It’s time to get into shape, baby! Work it out, cut the fat, get in tip-top condition!! You may be thinking I mean eating better and finally hitting the gym you’ve been a member of since January 2nd. If you are thinking that, than you would be wrong! While getting your body into shape is very important, of course, this time I’m really talking about getting your Mac computer into tip-top shape! 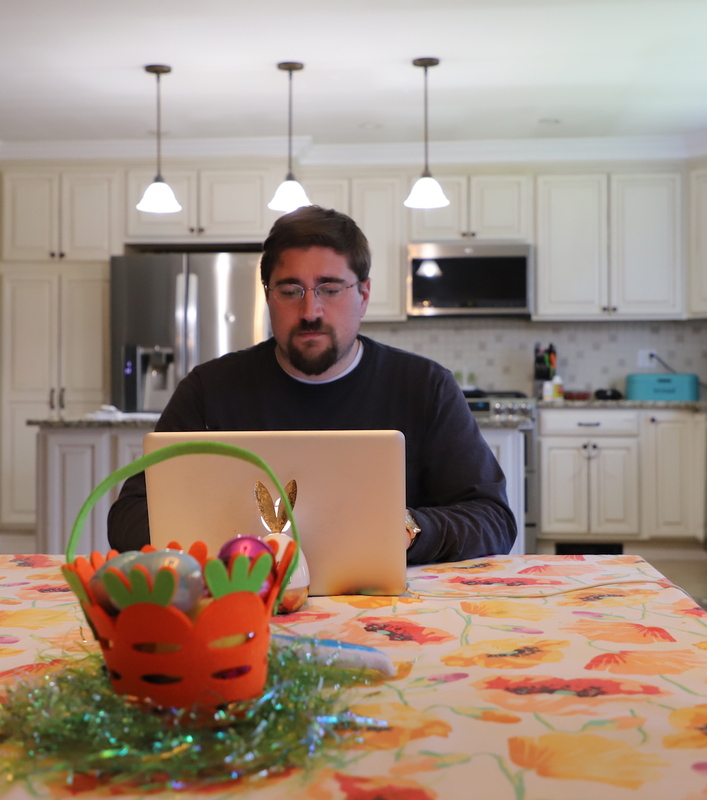 I love my Mac and use it each and every day, for hours at a time. I work and I play on it. It’s a big part of my life today. I was a convert in 2012 and haven’t looked back since. I find it to be very user friendly, safe, and stable. However, as with everything else in life, this level of stability and safety only goes so far. There are still plenty of bad operators that want to ruin your online world and there are also plenty of apps out there that make your Mac a bit of a mess. 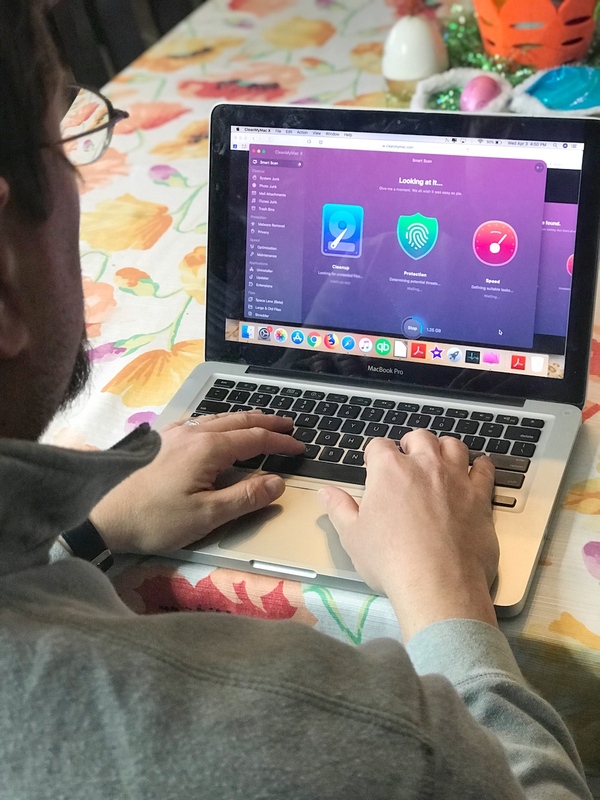 In all of the years that I’ve been using my Mac, there’s only been one solution that I’ve used to help me protect my computer and online life, and clean all those little messes away. It’s called CleanMyMac X and it’s the best solution I know of for anyone using a Mac computer. 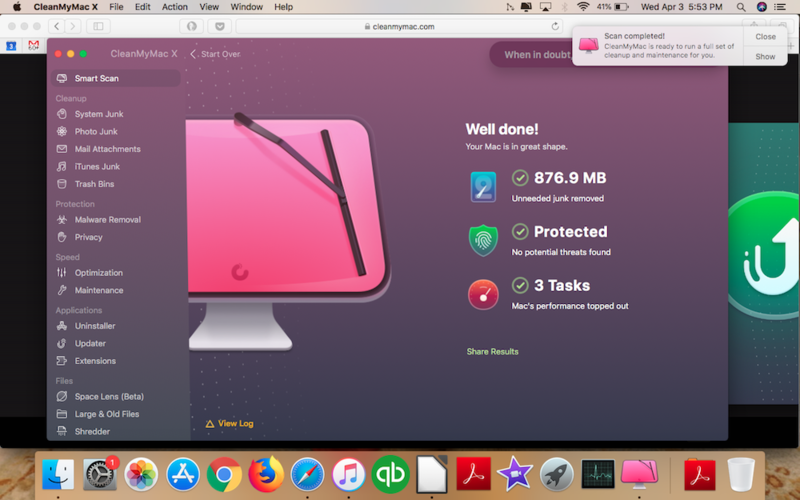 CleanMyMac X is so easy to use, it does the work for you! You don’t even really have to think about anything, either. It reminds you when to use it so all you do it click! The beautifully designed program takes care of the rest with real-time results right in front of your eyes. It even reminds you when to clear out your trash bin!! The drop down status menu screen is such a quick and easy way to keep track of how your Mac is operating, it’s perfect. I really like CleanMyMac X because it does so many things, each one more important than the other. It removes all the junk that accumulates, it checks for any potential security threats, and it tries to improve the performance of Mac tasks. It even cleans out iTunes junk, flushes the DNS cache, and frees up all-important RAM space!! Thankfully, this tool is so powerful, it’s pretty much the only tool you need to protect your Mac. I installed it and have not looked back. It’s a game changer. If it works on your Mac like it does mine, CleanMyMac X will fix you and your Mac up as good as new, as clean as new, as fast as new, and as safe as new!! 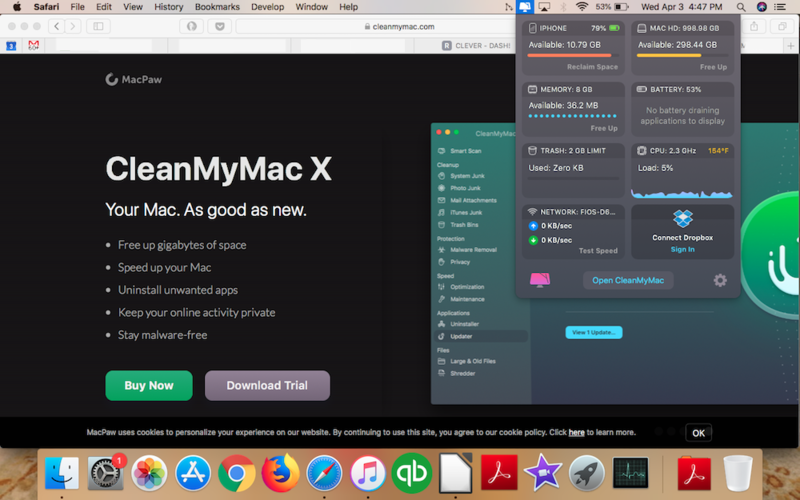 CleanMyMac X is a great cleaning app that really does a fantastic job of getting my MacBook Pro in the best shape it can be at the ripe old age of 6! You will easily clean up all the mess that accumulates on your computer with the press of a button. Everything is dealt with and no stone is left unturned. Once it’s done, your Mac will speed up and work almost like new! It cleans up in places I didn’t even know existed. I really think that CleanMyMac X is a must-have app for anyone with a Mac. If you love using your Mac, then you need to take care of it. It’s like your body or you house or your car. Keep your baby running clean and smooth!! It’s an advanced machine that needs maintenance. And we all know that the Macs are not exactly small investments, either. It should really be the first app that any Mac user installs as it will really help you maintain your computer in as best a shape as it can be maintained. Click here to automatically download a free trial and try CleanMyMac!!! I have to get this for my Mac! I’m absolutely in love with mine, but I have a hard time keeping it nicely tuned. This will make life so much easier for me. This is a great App. I wonder whether it will work on my laptop which is not a Mac. Would do my research to check it out. That sounds great! Would love to check it out. I just purchased a MacBook the other day it has been the best laptop I’ve had thus far! I will have to look into this for mine!